All my life I have been on a quest for a state of being where boundaries dissolve, time stops, and there is a sense of spaciousness, deep peace, and profound well being. My separated, sometimes anxious self seems to disappear into a vast field of light and love. I have been seeking this experience ever since I lost my beloved mother, who died of breast cancer at the age of thirty-three on the eve of my sixth birthday. Despite having three older siblings and a devoted but depressed father, I felt bereft beyond words and would cry myself to sleep every night for years. Yet sometimes despite my grief I would be taken over by a sense of breathtaking joy. I remember being transfixed by light filtering through the delicate leaves of a Chinese maple tree or seeing many colors sparkling on fresh snow in sunlight or listening to music. Over the years I have consciously sought this experience through many spiritual practices. The list is long. I have also been a long time peace and social change activist and public speaker. Much of my adult life has been spent finding a bridge between the light of spiritual experience and the darkness of political realities. Later, as I gave speeches as a peace activist, I would lead audiences in guided meditations. I remember giving a speech in front of 250,000 people, mostly women, at a NOW rally in front of the capital and inviting them all to close their eyes, take some deep breaths, open their hearts and imagine a world where the resources spent on weapons and destruction were directed to the enhancement and enrichment of life. Over the years I have developed a practice which has become one the most precious aspects of my life, my best and most reliable friend. Each morning before getting out of bed, I meditate while placing one hand on my heart and the other on my belly. I imagine I am breathing in and out through my heart. I call in the Beloved, my Essence, the radiant loving core of my being. I experience this loving presence radiating and infusing my whole being with blissful subtle energy. If there is tension I breathe relaxation into the area that is tense. If there is emotional pain, I breathe comfort into the area of my body that is feeling the distress. If and when distracting thoughts or concerns arise, I breathe them into my heart, surrounding them with kindness and healing energy. I ask for guidance and often find new ways of holding them or unexpected insights or solutions, or they transform or dissipate like mist in the light of the sun. Sooner or later, I begin to feel I am floating in an ocean of healing energy, light, and love. Then I send that energy out to those I love, to others who need healing, to the world in all its beauty and suffering. I breathe out love and breathe in love. I become love. 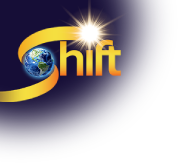 I am delighted currently to be teaching “The Emergence Process” with my sister, Barbara Marx Hubbard once again on Shift Network as part of her longer course “The Sacred Journey of the Conscious Evolutionary”. It is based on her inspiring book, “Emergence: The Shift from Ego to Essence” and guides us to connect, incarnate and become one with our Essential Self, the Beloved. We are “God-smacked” and in awe of the power of these teachings and the individual and collective awakenings of the participants. Through the power of creative imagination and invocation we recognize we are one with the divine impulse of creation. Many are moved to tears of joy, as they are held in a field of love and feel they have come home to their own ecstatic and true nature. I also am thrilled at the opportunity to share these teachings once again in greater depth in a 24 week course: “as The Emergence Process Teaching Intensive: Embodying Love/ Living Essence”. Participants are empowered to deepen their own experience of and to share and teach this transformative process. It is a source of joy to me that others will be joining me in singing the melody of their souls.